The term ‘legend’ is thrown around too often and the overuse has weakened the true sense of the word. The real legends are the ones who have left a mark on their culture by earning the respect of their peers while creating a lasting impact. In today’s 24-hour news cycle, scroll-through, throw-away society, true legends become more important. They are reminders of the important aspects of what a legacy means. They are the standouts, not because they attained legendary status, but because of how they attained it. They are the reason the rest of us change the way we do things, whether we realize their influence or not. Some people understand the importance of history. They have insight into what has come before: the mistakes, the achievements, and the key players; the legends. They know that without remembering our history, we don’t know where we stand or where we may go. The first thing I think when I hear ‘Denver’s chopper’ is, “I wonder how long the thing is.” Not to be confused with a girl’s thoughts of a guy’s endowment on a first date, but it’s not too far off. 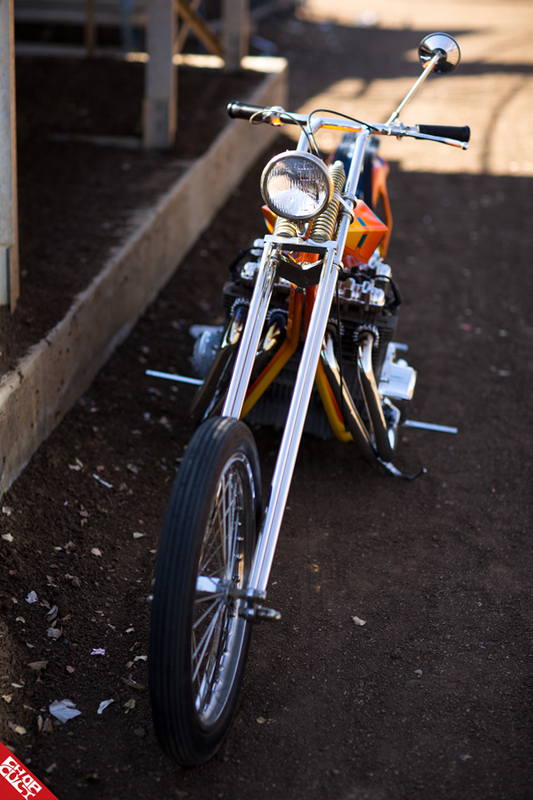 Denver’s Choppers has always been known for its long custom springer front ends, diggers, and ‘Berdoo’ club style bikes. The outfit began in San Bernardino, California over 40 years ago. Started by Denver Mullins and Mondo Porras, other employees included the legendary Freddie Hernandez. The shop continues to churn out their long and wild bikes to this day, despite the passing of Denver Mullins in 1992. The second thing I think of when I hear ‘Denver’s chopper’ is ‘Legend’. Most times, people have claim to a Denver’s front end but rarely do you see a complete bike. Although Denver’s Choppers continues on to this day in a shop outside of Las Vegas, Nevada, it could be argued that there was a golden era of the Denver’s Choppers. The era in which they were at the forefront of customization and the ideas they were producing were unmatched and, at the time, unimaginable. My friend, Rich Silva, is one of the lucky ones. The story of how he acquired an original Denver’s digger from a neighbor is almost unbelievable. I guess some people just have all the luck. But I can’t imagine it happening to a better person. 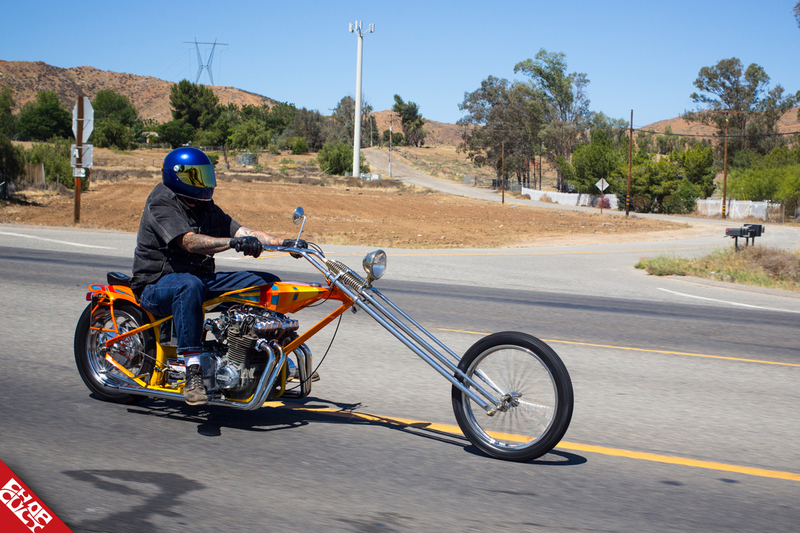 His approach to restoring the bike was nothing short of a history lesson for Rich. 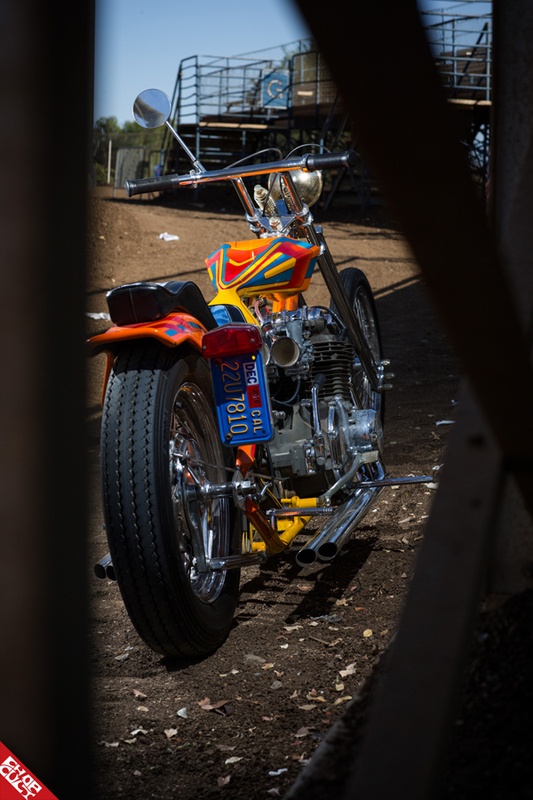 He did his due diligence to get in contact with the people that could restore as much of the bike as he saw fit. As soon as I heard the story of how he acquired the bike, I knew I needed to shoot it. The only words I heard to describe the bike were: ‘Denver’s’, ‘survivor’ and ‘long’, but the only word I thought was ‘legend’. Favorite thing about this bike: My favorite thing about this bike is that it found me. Other mods, accessories, cool parts, etc: Restored it. Any building or riding story or info you'd like to include: I am not a bike builder by any means. I am your below average tinkerer that loves wrenching and riding bikes. 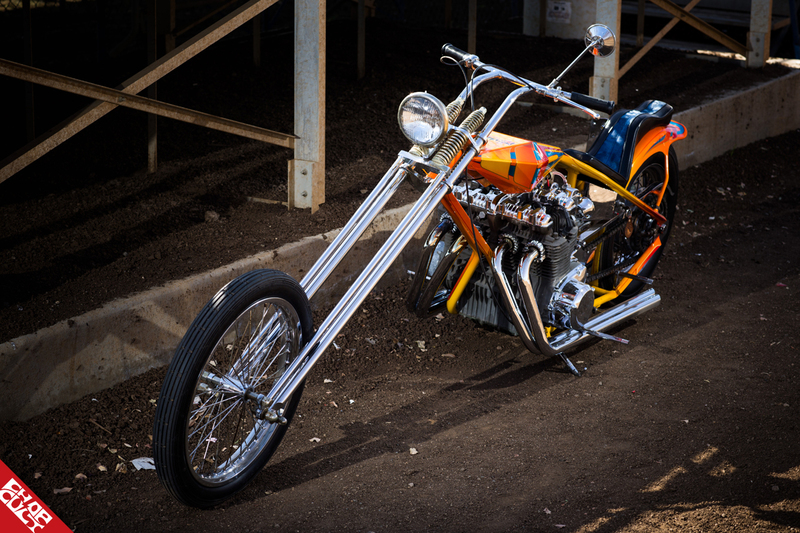 I recently submitted the story of how I acquired the bike to Arlen Ness for their digger bike show at Born-Free 8, 2016. To my surprise, it got accepted. 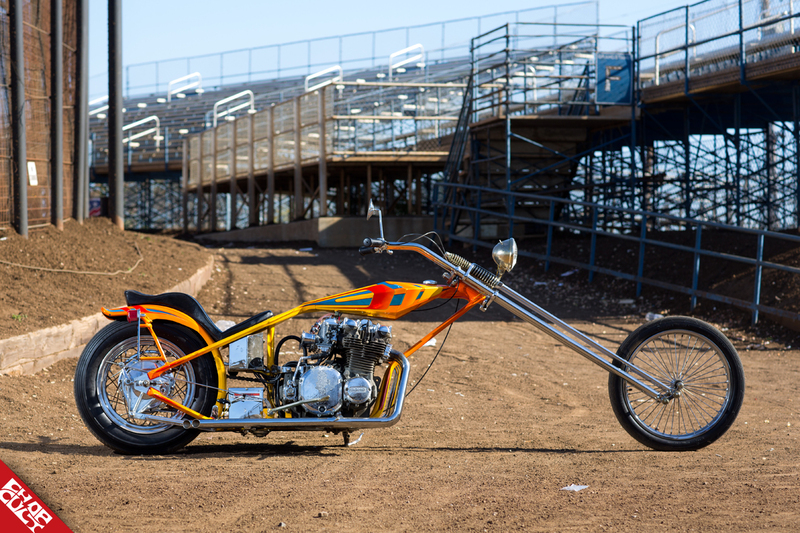 You can see this bike in person at Born-Free 8 Saturday, June 25, 2016, at the Arlen Ness display and Sunday at the Klass Cycles booth. Yes, it runs and yes, I ride it. “Dear Arlen Ness & Family, My Name is Rich Silva. I am a resident of the Lake Elsinore area. The strangest thing happened to me end of last year 2015. My neighbor called me and said her uncle had passed away and he had a bike covered up in the corner of his garage. She asked if I would identify the bike and help them sell it. I asked her to send photos first. When I got the photos I was in awe! It was a Denver’s Chopper. The bike had been sitting since 1982. 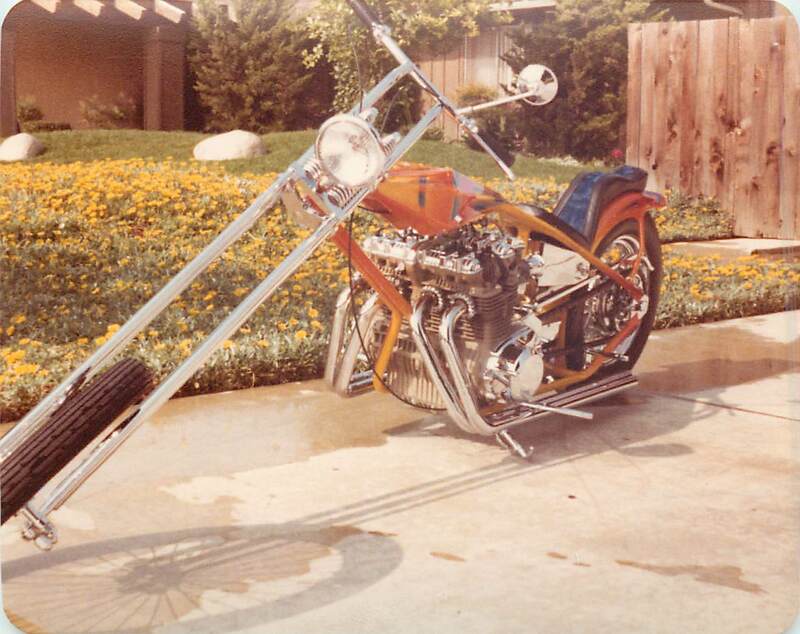 It is 100% original Denver’s Chopper!!!! The bike definitely needed a lot of love to get back on the road. It did not have registration. No trace of a VIN on frame or motor. After a conversation of how much work, money, and time it would take to make this bike CA legal and running again they were a little disappointed that this would not be an easy quick sell. I quickly offered $1000 (this is all the savings I had) and assured them I would get it back to the original state that their uncle had it in when he got it new from Denver Mullins. We shook hands and now the bike was mine. They gave me all original documentation and purchase receipts signed by Denver himself. I have since got both frame and motor blue tagged and it is now CA legal. The bike is currently at my friends shop Klass Cycles in Fountain Valley CA. These guys are working hard to get it running for me. My end goal is to clean it up, ride, and show it in its original condition. I am not buying any new cosmetic pieces or sending anything off to chrome, however, it will have new tubes and tires. I am simply cleaning it up and going to ride and show it as is. I believe every bike has a soul and a story. I want to keep this bike true to its story. I am not a bike builder but I love tinkering on motorcycles. I also have an ‘89 FXR and an ‘84 FXST. Bike is out-of-this-world. Great work. Nice to see a metric now and then. Great photos, too! Congrats to both of you. Guys and Gals.... 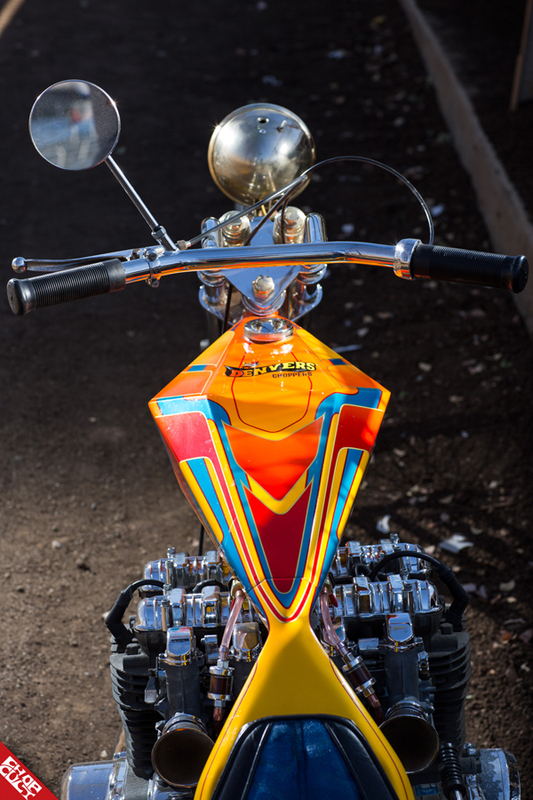 I have an ORIGINAL KZ1000 in my shop, same year and model as this BEAUTIFUL DIGGER. It's for sale if anyone wants to REPLICATE this chop. Let Doc in MN know. wow, such a great story. i've always been a fan of Denver and his long bikes. great to see one preserved and still riding and enjoyed!